Upgraded to Windows 10? 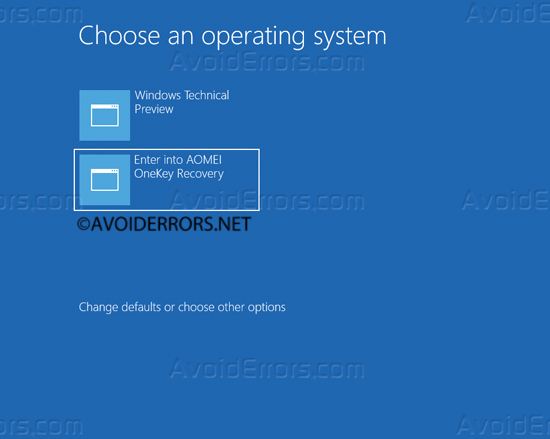 then It would be a great idea to create a Windows 10 recovery partition. why? 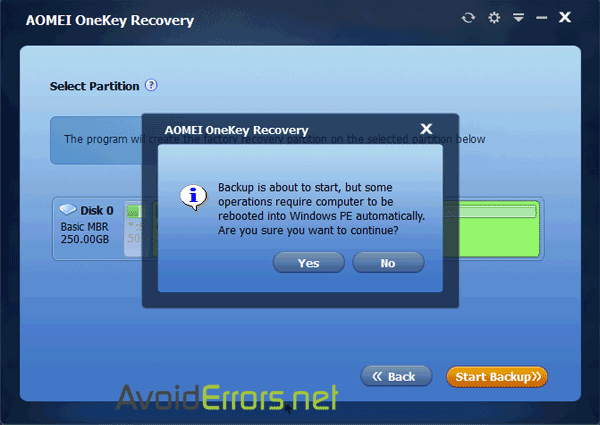 because the factory recovery partition you already have belongs the the previous OS. Like most users I only have one drive. 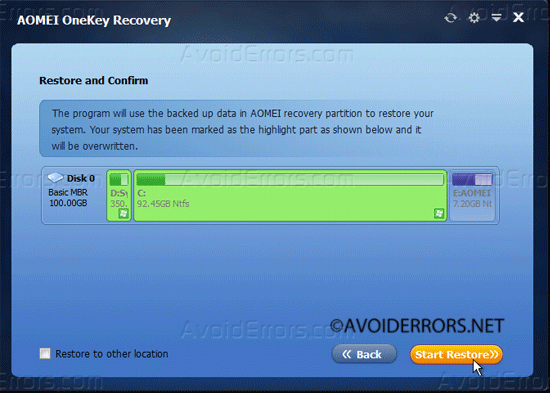 I’ll select it to create the recovery partition there and click next. 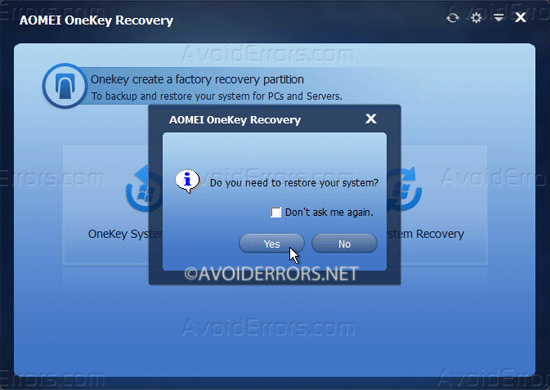 Once it re-start, OneKey Recovery will start creating the recovery partition on your C: drive. 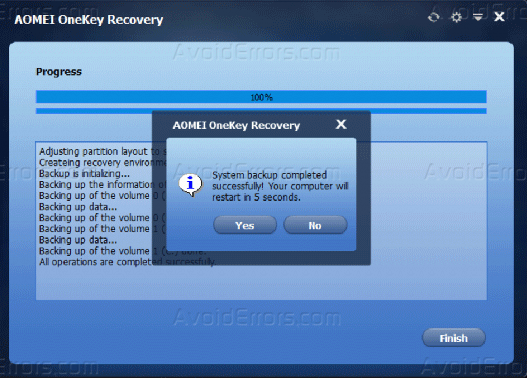 Once the recovery partition is ready, “The system backup is completed successfully” message will appear on the screen, giving you 5 seconds to re-start. 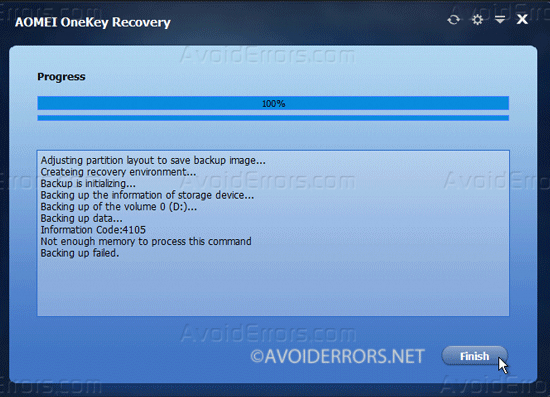 The time it takes to create a recovery partition depends on how much data you have stored on your C: drive. 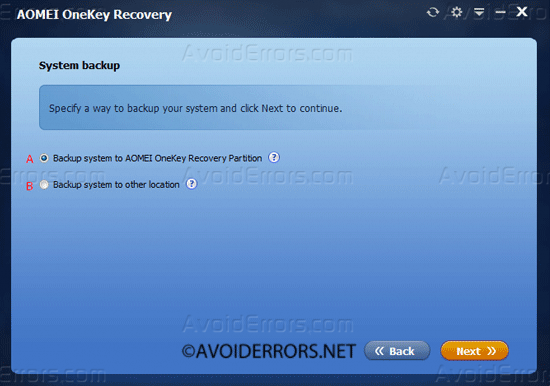 You can edit the boot entries by going to the settings options in AOMEI. 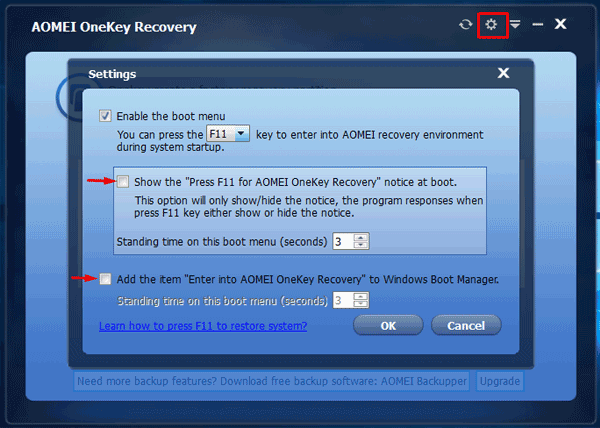 There you can easily change the boot option not to view the boot entries but to keep the F11 key available to access the recovery options.